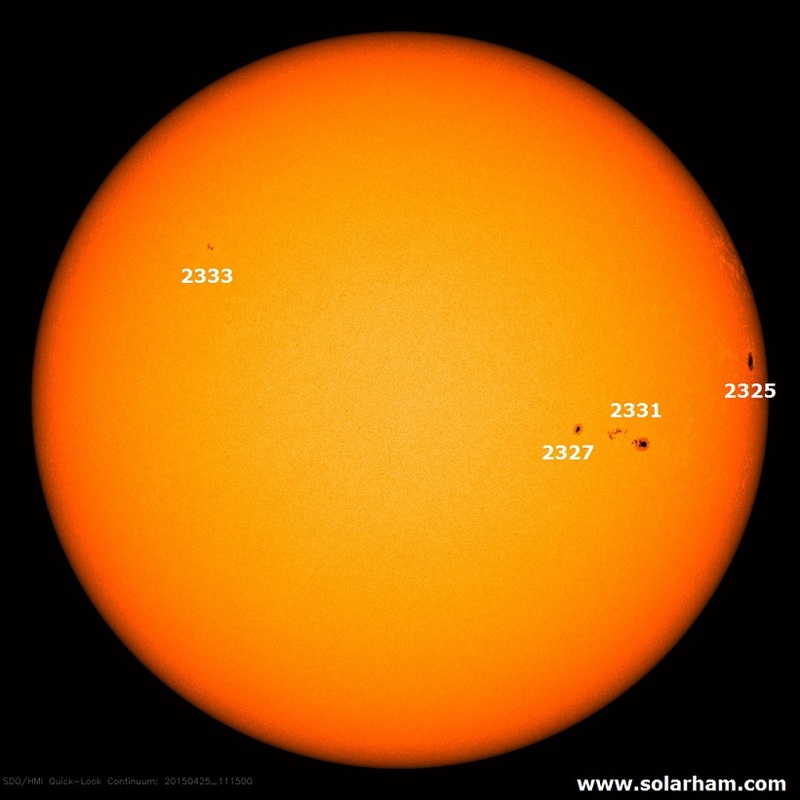 Solar activity was low. The largest flare of the period was a C1.7 flare peaking at 19:27UT from Catania group 32 (NOAA region 2324). Further C flaring was recorded from Catania groups 37 and 39 (NOAA regions 2331 and 2326 respectively). Most regions on disc are stable or in decay, while further growth and development was observed in the intermediate section of Catania group 37 (NOAA region 2331). Flaring at C level is expected over the next days. No Earth directed CME's have been recorded. Solar wind was nominal with solar wind speed dropping further from 380 km/s to around 340 km/s as well as total magnetic field dropping further from around 5 nT to around 3 nT. Bz was positive over most of the period and the phi angle was stable in the outward sector. Geomagnetic conditions were mostly quiet (NOAA Kp 0-1) with only an unsettled period locally (local K Dourbes 3 around 16UT while otherwise 0-2). Nominal solar wind conditions with associated quiet to unsettled geomagnetic conditions are expected, with possibly a sector boundary change slightly enhancing solar wind conditions and potentially causing active geomagnetic conditions.